Conjures up images of baby cupids in diapers, arrows with heart-shaped tips, and little hearts floating over couples’ heads. But what about those of us that are Anti-Valentine’s Day? Valentine’s Day isn’t all about love… or a diaper-clad baby shooting arrows at people… it’s also about those that can’t get rid of someone, that person that just refuses to let you go… and this day has some historical disasters. Every year, around this time, I do a special Anti-Valentine’s Day Unbinding Ritual. Specifically designed for those that really need to get someone the hell outta their life, and unbind someone from them. Maybe you have a negative influence from someone that just won’t let you move on. Or even a stalker! Ex-lover from your past that holds a torch for you that is causing problems. Miss Sha’s own special way to rid herself of a nuisance. Severance Package is, at it’s basic, a severe Unbinding of Two Hearts. Specifically designed for those that really need to get someone the hell outta their life, unbind someone from you. Maybe you have a negative influence from someone that just won’t let you move on. Or even a stalker! Ex-lover from your past that holds a torch for you that is causing problems. It’s fairly powerful work – she has a specific spot in a cemetery where she works. Two Hearts (yes, real animal hearts) are baptized with the appropriate oils and then bound together. A Kukri style machete – that has been rumored to have taken a life – is used to severe the connection between the two hearts – VIOLENTLY. 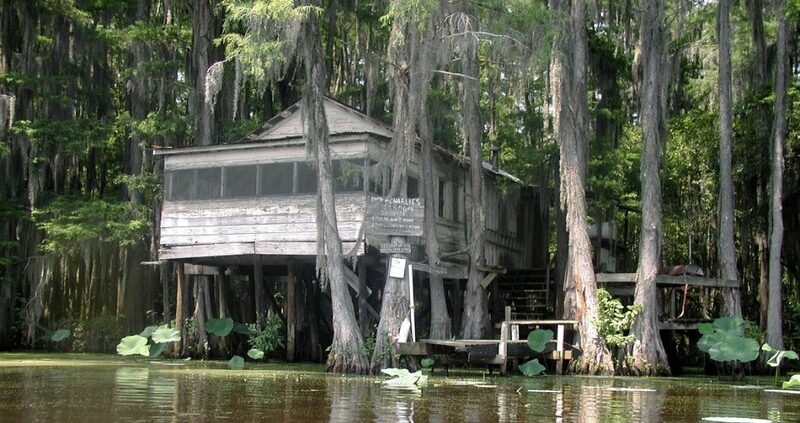 A bit more conjure work is done and then the two pieces are disposed of after a certain specified number of days, at opposite ends of the bayou. By then, the connection is properly withered and dying – the disposal helps put the final nail in the coffin of this relationship. Clients will be provided with photos and proof that the work being done is for their particular situation. Perfectly designed to cut the ties that bind between two people. I am only able to perform a handful of these services – due to the amount of energy required, so it is first come, first serve. Inexplicable Things is proud to, once again, offer a Boxed Gift Set of Krampus Kandles for the holidays! This gives you first dibs on a unique, limited-time, holiday candle with a surprise fragrance, this year! Last year, we sold out in a couple of days! Packaged in a little gift box, black tissue paper and ribbons. Perfect for stocking stuffers or giving as gifts to those naughty and nice. Or you can simply keep them for yourself! They are sure to be a hit. These will be slightly different than last season’s – and orders will ship out mid- to late November. 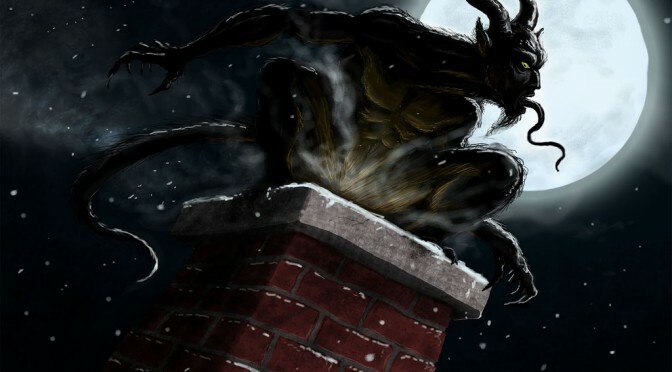 Who is Krampus, you ask? Well, he is the malicious, dark companion of jolly ol’ Saint Nick. 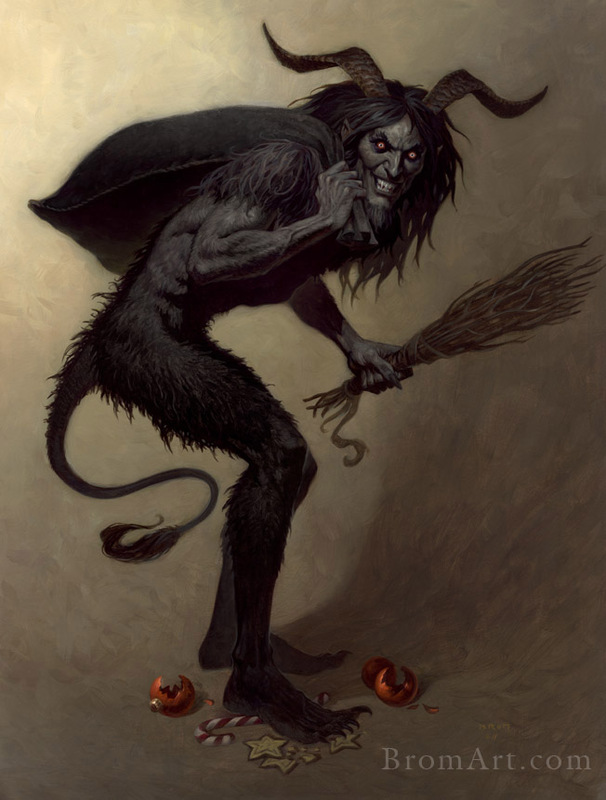 Krampus is known throughout many European countries as a figure of terror for “naughty” children. Originally of demonic origin, and rumored to be of the great Loki’s bloodline, he is often seen wearing chains and is somewhat violent by nature. He carries switches of bundled birch branches, and a bag of punishment tools on his back – all used to beat wickedly bad children into a burlap bag and carry them off to horrible places! 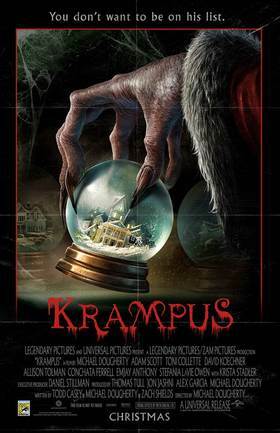 Let’s not forget, however, that Krampus is merely doing his job! 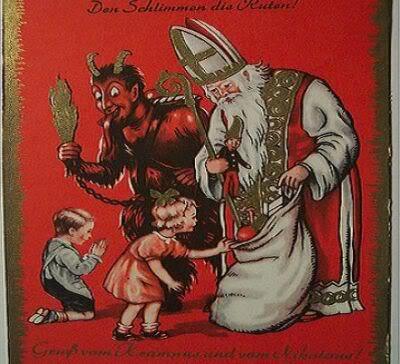 Children that are naughty – through telling lies to teachers and parents, cheating, or stealing – are to be punished by order of Krampus’ master, Saint Nicholas! The severity of the crime will determine the punishment. Krampus administers swats with his switch and after so many swats, the child who has learned his lesson is released and Krampus goes about his way. If he drags them away . . . well, then, it’s obvious that wicked child did NOT learn their lesson! So you better be good, for goodness sake!